Search homes for sale in Bay View, Michigan and find Bay View, MI real estate and houses. Also browse foreclosures, condos & townhomes with RE/MAX Michigan. Ghost town in the winter and paradise in the summer. Perhaps you've read about Bay View because it's been in the recent news due to their policy on home ownership. Perhaps you've driven through on your way to Petoskey or Harbor Springs. Regardless of how you've come to stumble upon this insight, Bay View has some unique characteristics. 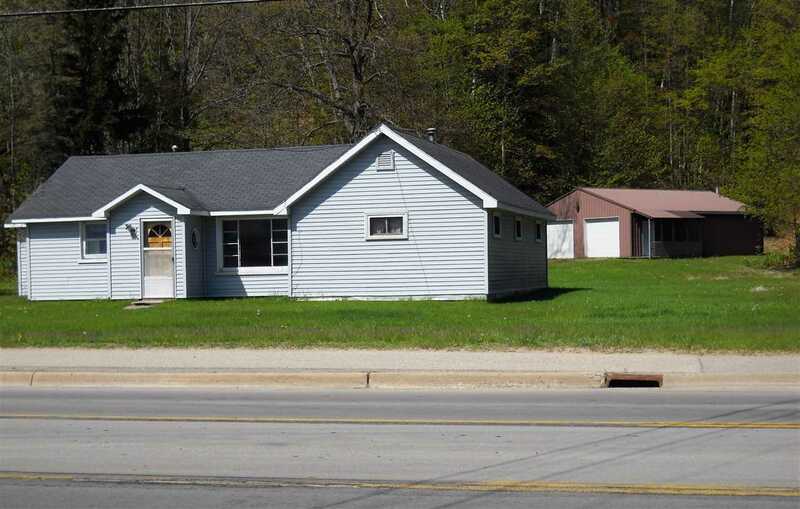 Bay View is an unincorporated community in Bear Creek Township within Emmet County and overlooks Little Traverse Bay. The Bay View Association of the United Methodist Church was founded in 1875. It was initially part of the Methodist Camp Meeting movement and later adapted to fall more into the precepts of the Chautauqua movement. The community consists of primarily 440 Victorian-style cottages, 30 community-owned buildings, two hotels, a post office, beach, pool, and sail house. To own a cottage in the community, you must be a member of the Bay View Association. While cottages in the community may be individually owned, the land the buildings sit on belong to the association. Bay View Association has had a history of controversial by-laws and requirements and is heavily rooted in the Methodist Christian Church. As such, the community historically required that homeowners be of "Christian" persuasion. The requirement was so strict as to require a pastor or church leader to attest to a person's membership or attendance at a church. Back in 1942, the association adopted a resolution that would be questionable by today's standards stating essentially stating that there could be no member allowed to rent or lease property nor rent a room for more than a day unless they were white and christian. It went on to say that this rule would allow servants or household employees. In 1947, by-laws were revised to include: "Any person twenty-one years of age and good moral character, by two-thirds vote of the Board of Trustees, may be accepted as a member of this Association provided that he or she is of the Caucasian race and of Christian persuasion." Both the 1942 and 1947 Caucasian requirements were removed in 1959. Between the 1960s and 1980s Bay View had a Catholic member quota which prohibited Catholics from making up any more than 10% of the total membership. Not every Bay View member agrees with the Association requirements. In August of 2011 and August of 2013, the Association members voted on a proposal that would remove the Christian persuasion requirement, however, it was defeated by a 52% vote in opposition (381 members) in 2011 and 51.85% (364 members). Both proposals required a two-thirds majority to pass. In July of 2017, The Bay View Chautauqua Inclusiveness Group filed a civil rights and religious discrimination lawsuit against the Bay View Association of the United Methodist Church in the US District Court for the Western District of Michigan. Just over a year later, on August 7, 2018, Bay View removed the "Christian persuasion" requirement. Approximately 70% of members voted in favor of the amendment which went into effect immediately. As of October 25, 2018, the website still states under #5 of the qualifications for membership, that an individual "is of Christian persuasion." However, the site does state that the Application PDF is being revised and to check back soon. Member or not, driving through Bay View during the summer shouldn't disappoint. The architecture and location make it a true gem in the area aesthetically while the history is intriguing and something to contemplate.